This year I found an idea in a copy of Mother Earth News that had me intrigued from the moment that I read about it. According the article, you could plant an instant garden using nothing but a bag of potting soil. It sounded too good to be true, but I gave it a try. I was amazed by the results! The things I planted in my garden-in-a-bag grew well and it was so easy to do. Whether you’re planting a single bag with some lettuce or a tomato plant or if you want to start a full size garden, using this technique is a fast and easy way to grow your own food. I’ll describe the process for starting a small, one bag garden, but you can simply expend it to fit your needs. The first step is purchasing the bag of soil. If you’ve been to the garden center recently, you’ll realize that this step in the process can be a little overwhelming. You’ll find potting mix, compost, top soil, potting soil and more. So which one do you purchase? 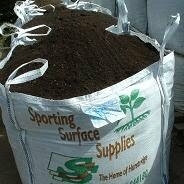 It’s suggested that you look for a bag that has the word “soil” in it. These tend to be a little heavier and have a courser texture which is good for outdoor planting. Soils that are called mixes are usually very light and fluffy, excellent of seed starting and potted plants but not so good for a garden-in-a-bag. You can choose either regular or organic depending upon your preference. I used a bag of Miracle Gro Potting Soil. With bag in hand, find a nice level spot with full sun where you want your garden to be. There is no need to till the ground or even remove any sod that is present. Just place the bag of soil where you want it to be and push some pieces of cardboard under the edges of the bag so that you end up with a 6” border of cardboard. The purpose of this is to prevent grass and weeds from growing right up against the bag and to give you space to mow if your garden is started in a lawn area. When the bag is in place, cut a window into the bag leaving a 4” border of plastic around the edge. For example if the bag is 24” x 36”, the opening in the top will be about 16” x 28”. This 4” border of plastic will keep the soil in the bag while allowing you plenty of room to plant. The final step in preparation is to take a screwdriver or large knife and poke a dozen or more holes into the bag. Just plunge the knife into the open window of soil that you’ve made. This step pokes holes into the bottom of the plastic which serve as drainage and also provide a way for the roots of the plants to reach into the soil below the bag. That’s all there is to it. You now have an instant garden-in-a-bag that is ready to plant. I had great success growing lettuce, kale and sunflowers but you could grow almost anything. Just be aware that you will need to keep a close eye on the moisture level of the bag in the beginning. Until the roots start to grow into the soil below the bag, you’ll want to make sure that the potting soil stays moist. What I love about a garden-in-a-bag is that you can prepare and plant a garden in an hour or less. It’s also a great way to create or expand a garden without having to till or remove sod. After the first year you can remove the bags and till the ground for a traditional garden. The ground beneath bags will be much softer and friable due to the action of the plant’s roots and the worms which will tunnel under the bag. For the second year you can also just put a new bag of soil on top of the old one and repeat the process. Some readers in the south might be able to try a garden-in-a-bag now and fill it with plants appropriate for their region. For those of us in the north, we can think about this technique for our spring garden. A garden-in-a-bag will let us plant earlier in the season since we won’t have to wait for the garden to dry. Personally, I’m going to use this trick to expand the garden and plan to grow tomatoes in the bags. Who would have thought that those piles of bagged soil at the garden center can be turned into a thriving vegetable garden with just a little time and effort? The advent of fall brings with it, the lamenting of a gardening season coming to a close. Most of the northern states are bidding farewell to their gardens as the first freeze will come any day. This year’s harvest was plentiful for many gardeners. A few states: Colorado, Wyoming and New Mexico had below average growing seasons because of a bashful spring that did not show her face until the middle of May. On the contrary, a few states had far better than average years, including: Nebraska, Illinois and Indiana. The rains in the Midwest were constant throughout spring and many crops grew with wild abandon yielding a harvest unlike many in years past. This dichotomy however, brought about a unified result. For gardeners in states where the yield was below average, there is a tenacity to overcome mother-nature, to be ready for next season and show spring who is boss. For those in states where the harvest was plentiful, new inspiration was born. Those gardeners can see new crops blossoming in the springs to come. In short, gardeners around the United States are already planning the layout for next season to grow a crop that will make this year’s produce seem like slim pickings. In light of the unbridled hopes for gardeners everywhere, it is good to take a moment to review the basic points of garden bed planning. The most important rule every gardener should follow is to rotate the crops. Nearly every garden lover knows this rule, but surprisingly few gardeners have a well rounded method for the mad dash. So, by breaking the garden crops into four categories, the gardener will establish a method to successfully replenish his or her garden’s soil nutrition while preventing insect infestation and defeating weeds. Leafy greens—think anything that would be called a salad green—love nitrogen; they compile one category. Fruit bearing plants such as squash, watermelon, cantaloupe, tomatoes and cucumbers need phosphorus. They are a group to themselves. Root foods such as potatoes and carrots are also a group. They need potassium. The final category is legumes such as peas, soy beans, and varietal beans. They do the hard work of replenishing the soil of nitrogen and making it fertile for years to come. The categories are not meant to be sectioned off from one another, but instead a flow should be created where a plant from the same group does not end up in a plot of his own group the following year—carrots should not chase onions. The gardener who observes the four groups and creates a plan to rotate the crops from section to section, allowing the plants to invigorate the soil, should still let his or her soil rest every seven years or so, but between fallow ground, the yield should be greater and the pests fewer. Weather permitting, next season can birth all the gardener’s dreams. Jody Sperlng is a contributing writer for Mike the Gardener Enterprises, LLC the exclusive home for the Seeds of the Month Club. You can enhance your home vegetable garden with items you have in, around and near your house. These items will add nutrients to your soil, in turn creating much more productive vegetable plants for many growing seasons to come. Do you generate food waste? Of course you do. All people do. Whether it is that leftover dinner, coffee grinds or that food that is just rotting away in the fridge, you have some kind of food waste. Before you go ahead and throw it away in your trash, consider feeding the worms, bacteria and microbes that already exist in your garden. By burying your food waste at least twenty-four inches deep in your vegetable garden, the underlying ecosystem will take over and break that food down into compost, vermicompost and humus. Do you have a lawn? Do you mow it? Does your neighbor have a lawn? Do they mow it? I am guessing probably so. Did you know those grass clippings are a great source of nitrogen which is needed by all fruits and vegetables in order to grow and produce? You can mix your clippings directly into your soil with a tiller, or keep a separate compost pile. The choice is yours. Jjust make sure you put those clippings to good use. Try not to pile too much grass in one area as it can get matted down and get deprived of oxygen in turn creating that “rotting” smell. Most people get bummed out when summer ends marking the beginning of autumn. But as a home vegetable gardener, autumn marks a great time to enhance the backyard dirt. 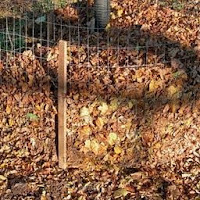 This is the time of year when the trees give up their leaves to us vegetable gardeners to create beneficials such as leaf mold or additional compost. Both of which when added to the backyard vegetable garden replenish the soil with much needed nutrients. For quicker breakdown and better results try shredding the leaves. It will make it easier for the ecosystem in your garden to break them down. Did I mention anything that might be earth shattering? Of course not. 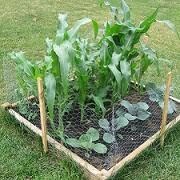 But many people do not use these basic items to create better soil for their home vegetable gardens. Give these items a try and you will be well on your way, and way ahead of many home vegetable gardeners. Popeye the Sailor (or the creators thereof) was not too far off the mark when he became stronger by eating his spinach. Research studies have shown that spinach is filled with loads of nutrition. Abound high in many vitamins and minerals, spinach is an excellent addition to any healthy eating regimen. No expert will say that eating a can of it will help you beat someone up, but all will agree that your body can use the nutritional value that spinach contains. For us home vegetable gardeners we can combine the best of two worlds, eating right and growing our own food. 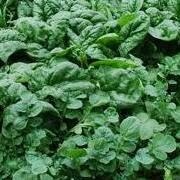 Spinach is a fairly easy vegetable to grow. It grows in cooler weather and can be started indoors from seed. Here are some tips to ensure the growth of your fall spinach crop is a success. Most spinach takes about 60 days before full maturity and you live in zones where the frost sets in early you will have to do some planning. For me, living in zone 7 I start my spinach seeds indoors about the last week of August or the first week of September to make sure I will get a decent harvest before frost hits in November. Do not overwater your spinach. This could cause improper growth but at the same time you do not want to underwater either. Giving it an even daily watering will do the trick. I highly recommend using a 3 in 1 soil tester that measures the level of moisture in the soil. Keep that measurement above the halfway mark and you will do ok. Spinach can be harvested one leaf at a time. What I mean by that is, when the leaves of the plant are to a size that you can eat, simply use a pair of scissors to cut the leaf off and let the plant continue to grow new leaves. You can have a steady stream of spinach all autumn long. If possible do not cut leaves off that you are not ready to eat. But if you must due to weather conditions, store them in your fridge away from fruits if you are going to consume the spinach within a day or two, otherwise you can freeze spinach to use at a later date. Spinach is very good for you. The best part, you can grow it yourself with very little effort. Four plants per person in all your household needs to keep a steady stream of Spinach for the entire family, all season long. One of the best things about growing your own vegetables is the freedom you get when it comes to picking and choosing exactly what you want to grow and how much of it you need or want. However, for some, as is the case with those that live in apartments and condos, space is a major factor. With limited space, many people believe you can’t grow what you want or anything at all. Here are some ideas to consider if you fall within this category. This is the obvious choice, yet it can be overlooked. Many vegetables can be grown in pots of which the most common is tomatoes. Use large pots. I like to use ones that are at least 12 inches deep as well as 12 inches around. This gives the plants plenty of room to spread out their roots. A pot is really nothing more than a raised bed for a single plant. However, even if you have a concrete patio or slab you can turn a portion of that into a raised bed. Build a four foot by four foot by twelve inch deep raised bed out of some wood you can pick up at your local home center. Even better, find a construction site that is throwing away wood and save some money. Fill the raised bed with a mixture of equal parts, vermiculite, peat moss and compost and you will have everything you need to grow a nice little garden. You can just sit the raised bed right on top of the concrete slab. Maybe you live on the wrong side of the apartment building and you get very little sun. But, the complex itself has some unused land. Ask the apartment owner if you can turn that unused land into a nice garden. You may want to ask some fellow tenants or condo owners if they want to get in on this idea with you. You can even look for a piece of vacant land in the city that you live in. Many towns like Detroit Michigan and Los Angeles California encourage gardening activities to reduce the eye sores of vacant land that gathers garbage. You are helping your town as well as yourself. Do not let the lack of space prohibit you from growing your own fruits and vegetables. These are three of the many options that you can consider to take advantage of the space you never knew you had. If purchased from a gardening store or garden center, good quality compost tea can cost as much as twenty dollars per gallon, and who can argue the price. The benefits are so great to this wonderful gardening elixir that it truly is worth its weight in gold. However, before you drop hundreds of dollars, you should know that you can make your own fairly easily. A simple recipe is to fill a small burlap sack with finished compost, also called humus, and submerge the filled sack into a 5 gallon bucket of water. Let it steep for 24 to 48 hours and you will have compost tea. This is just one recipe of many that you can use to create your own compost tea. The important thing here is the compost itself. It must be of good quality and must be the finished product. Ok, it doesn’t have to be the finished product, but it should be as close to done as possible. But what exactly are the benefits of compost tea? I have outlined four benefits below that should make you get excited about getting out there to create some compost tea of your own. You could just take your compost and mix it in with your soil, but before you do, make some compost tea with it. Brewing compost tea with your compost does not degrade the compost itself thereby extending the use of it by adding in another dimension. 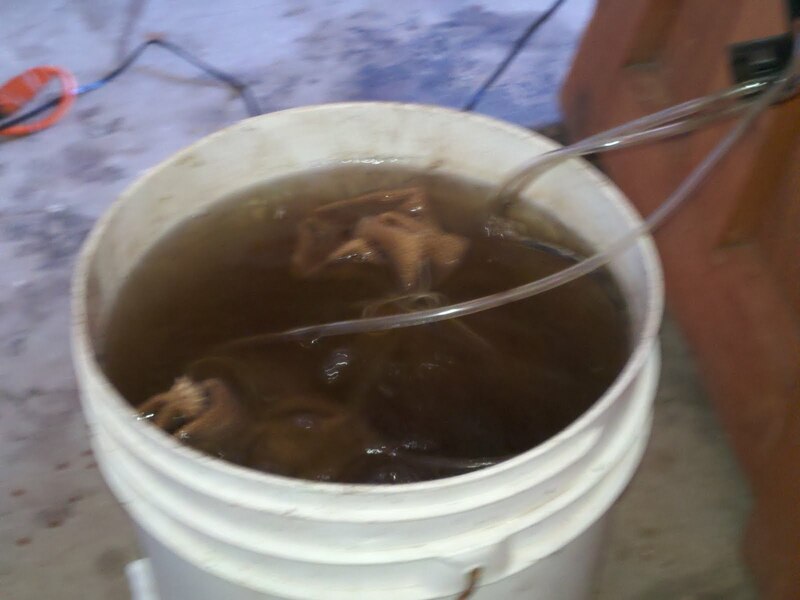 Brewing compost tea creates a liquid version of your compost. Although there is not much scientific data backing this theory up, many expert gardeners and horticulturists agree that when you spray compost tea on the leaves of your plants, it has shown to suppress some diseases that fruits and vegetables are susceptible to. As with humans, the assimilation of liquid into the blood stream is much faster than solids. The same holds true for plants. Compost tea, as noted before, is a liquid fertilizer and this allows for a greater amount of nutrients to be absorbed by your plants much quicker than other means or methods. In taste tests between vegetables and fruits that have been treated with compost tea and those that have not, the flavor of the fruits and vegetables were scored higher. If you have not been using compost tea, you are missing out on a great deal of benefits that will help improve your home vegetable garden. Start with the simple recipe that I have already given you and then start implementing your own brew as you become more comfortable with the process. The important thing is that you start with quality compost.